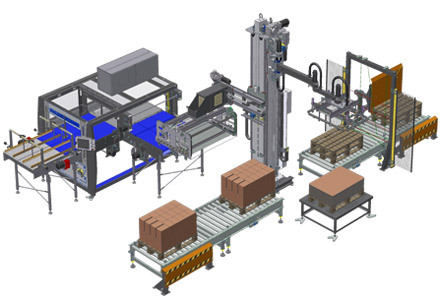 SMI palletizing systems set a new standard in the industry of two-Cartesian-axis fixed-column robotic palletizers. APS ERGON series is the outcome of an intense activity of research and innovation, which allowed producing technologically advanced systems capable of providing each user with the fittest packaging solutions according to his specific needs. 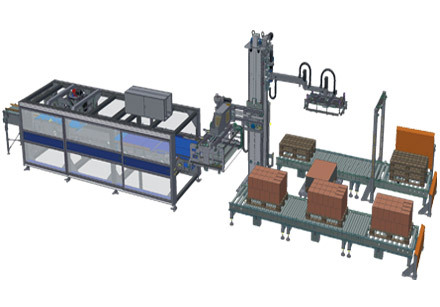 SMI palletizing systems enable to streamline the end-of-line operations of countless industrial sectors: beverages, food, chemicals, pharmaceuticals, detergents, glass, paper and many more. 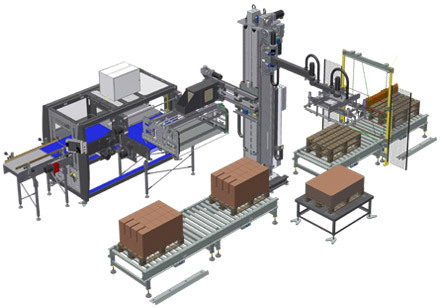 SMI palletizers meet production needs up to 100 packs/minute (according to the size of the product handled and to the palletization scheme selected) and are available in many configurations, both in "stand-alone" version and integrated with a SMI packer to form a Packbloc system.